For over 30 years WILGER has been developing innovative spray application components that make spraying safer, easier and more premium online pharmacy effective. • Stainless tip integrated into cap for safe handling made easy. Droplet size selective caps allow you to match the droplet size to your application. Wilger Industries Ltd. was founded in 1976 by Wilf H. Wilger, the company's President, to manufacture agricultural field sprayers. 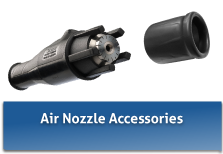 In 1985 Wilger designed and began manufacturing a multi-spray head turret, followed shortly by the Radialock cap and the COMBO-JET all-in-one Tip-Cap with snap-in strainer. In the following years Wilger has developed several other industry leading products which are utilised by major sprayer manufacturers worldwide. Wilger has manufacturing and distribution facilities in Lexington, TN and Saskatoon, SK, Canada. The 42,000 square foot Saskatoon facility is shared with Quality Molded Plastics Ltd., an affiliated company that is a major manufacturer of rotationally molded products.